Another Friday, another round of new products. Check out what we've got this week. Welcome back everyone! As always, we've got some new products for your Friday enjoyment, including the long-awaited RN-52 breakout. I almost wish we had a more complex demo for the RN-52, but I wanted to show how it worked in a minimal configuration without much effort. Just a few buttons and a battery is really all it took to get everything going. The RN-52 breakout is here! The RN-52 allows you to stream audio over Bluetooth. Magic. We also have a nice tutorial that shows you how to use and configure the module and even an example to get you up and running quickly. 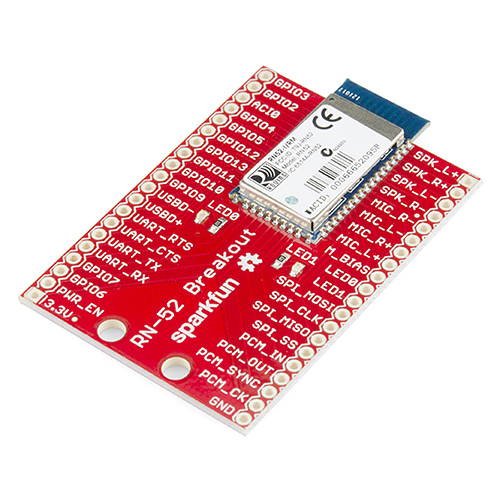 And of course we have the bare module if you want to try your hand at making your own board. Need a lot of LilyPad LEDs? 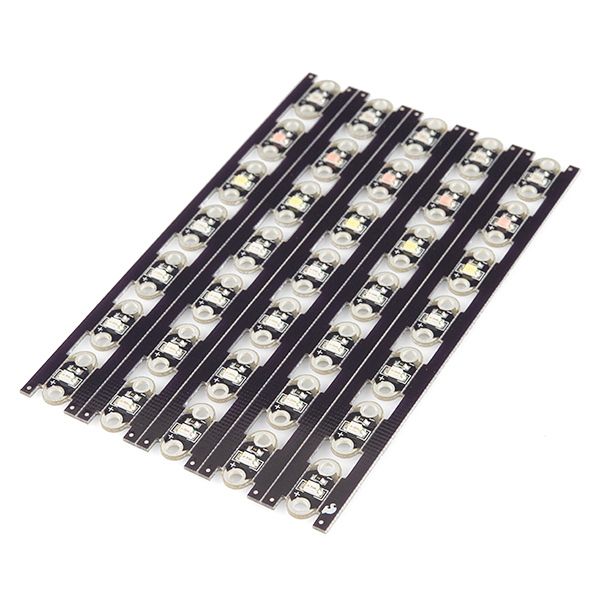 We carry 7 different colors of LilyPad LEDs, but never had them in multi-color packs. 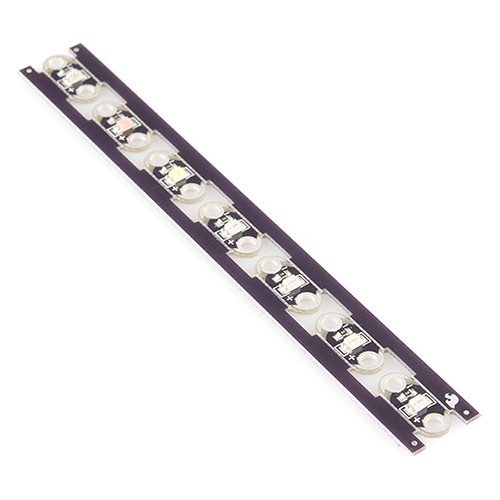 Now you can get 35 LEDs in 7 colors, all in one panel. The backs have a silkscreen to tell you the color and they're all connected on one big panel. If you're looking for a bunch of them, this is for you! Just want to see what all the colors look like? Check out this LilyPad LED strip instead. It has one of each of the 7 colors we have, so you can see what's the right one for your project. 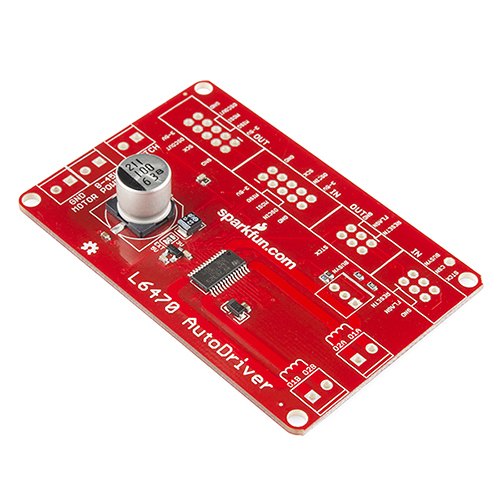 This week the L6470 stepper driver breakout gets a revision and is now the AutoDriver. We've completely overhauled the board and added a lot more connections which should make it a bit easier to use. As always, your feedback is critical in how we revise boards! This stepper motor driver is capable of microstepping and can handle motors up to 3A and 45V. If you've never used stepper motors and want to learn more about them, check out this video. Hopefully that will help you decide between steppers, servos, or something else for your next project. Well, that's all I have for this week. We have more next week, so be sure to check back then. Thanks for reading. i almost thought I was over the disappointment of missing out on the dumpster dive, and then you had to bring it up! It is cool that Sparkfun does stuff like the dumpster dive, but I wish you'd have more than 2 minutes worth of inventory, or did it sometime other than the middle of the day, or gave some warning, so that those of us with a job would have some sort of a chance of participating. I'm not saying that you should stop stuff like this, but you do make me slightly depressed every time that I come home, log on, and realize that I just missed out on the awesomeness once again. I believe the Dumpster Dive will be promoted better next time, and we will also have more stock. The first time was a trial run, as we had no idea how well it would perform. Hopefully next time you can get in there sooner! He said that an engineer who made it wrote a very quick guide to how to use it, Can I have the Link ? it's on the product page as well as the post above. here you go. I wish I could've got a Dumpster Dive, but I didn't have an account then. Unfortunately, did not get in on the Dumpster Dive. But that RN-52 looks pretty good! New Product Friday: Steppin' on Up!